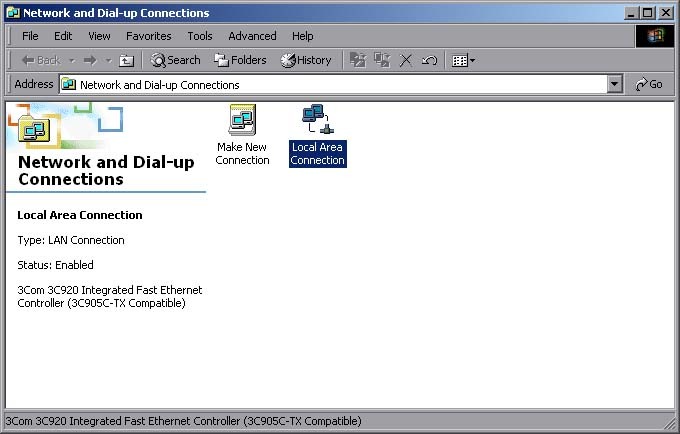 Setting up the network configuration. 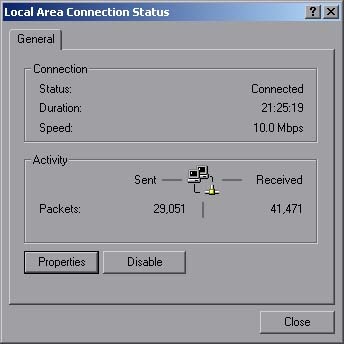 Before you can setup the machine to work on your local area network you will need some information from your local network administrator. Your administrator should register the IP address in the DNS so you have a name like curie.gmu.edu to represent the machine. 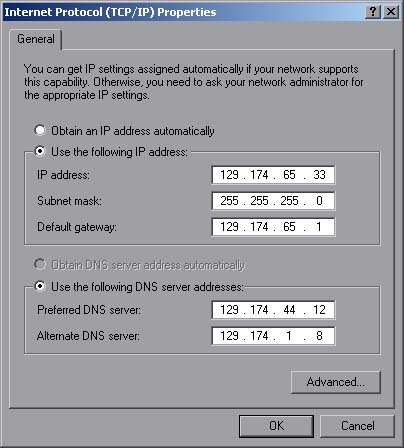 Once you have obtained these settings you need to enter them on your system. 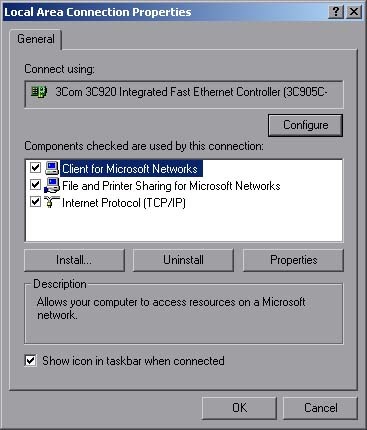 Click on "Internet Protocol (TCP/IP)" and click "Properties"
In this box you can enter the information you received from your network administrator.